Order Desk can import orders from your shopping cart(s), sync in your print details and then automatically send them on to Amplifier for fulfillment. When orders are shipped, the tracking details will be sent back to Order Desk automatically. 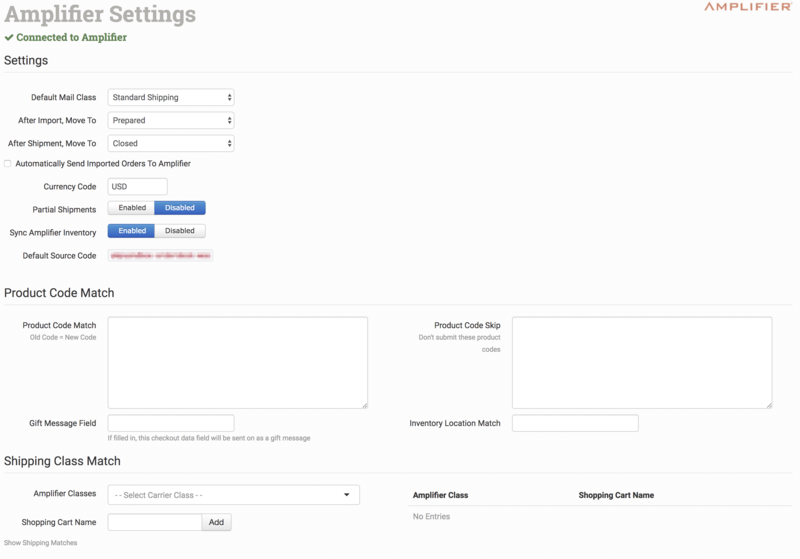 We can also pull inventory counts and send them back to your shopping carts for you. 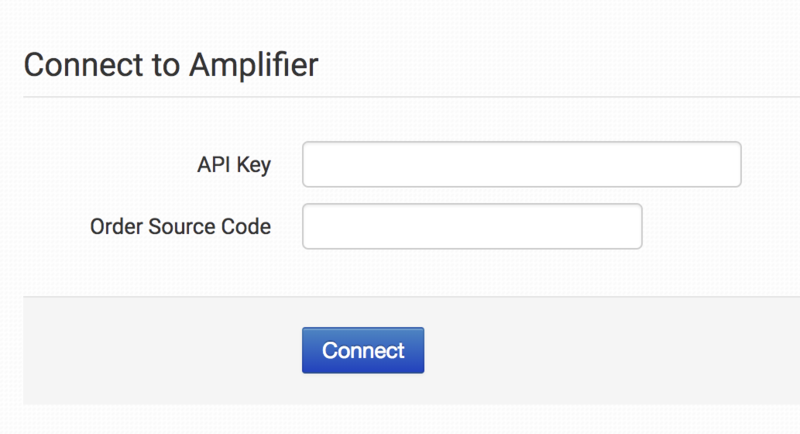 To connect to Amplifier, click on the Manage Integrations link under the Integrations menu in the left sidebar, Click on the Fulfillment tab and enable Amplifier. You can create an API key from the Account Page on the API Keys tab. Your Order Source Code will be provided by Amplifier staff. If you are sending regular orders for fulfillment, ensure that your incoming product sku matches the product sku at Amplifier. If you are sending print on demand orders, you'll want to ensure that the print_sku is set with the SKU of the item variant being ordered. You'll also want to set print_url with the publicly available url for your artwork. See the Print on Demand Fulfillment article for thorough step by step details on how to prepare there types of orders for submission.